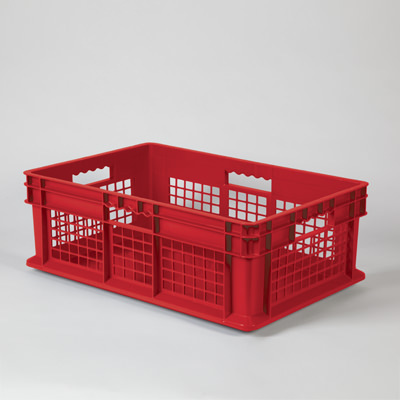 Stackable storage crates have open mesh sides to keep contents visible and provide air flow. Available in four sizes and two colors: Gray and Red. Specify color when ordering.